There are some more “out there” blogs and web sites that have significant OCT material on them, or express Obama-related fringe ideas. Caution: some of these web site include violent content, racist statements, foul language, and worst of all, misinformation. The Blog Links have been moved to the Obama Conspiracy Theories Bookmarks. Update: A list of topical blogs also appears at the bottom of the site under the Good, Bad and Ugly links. BTW, is Article II of the Constitution stating “natural born citizen” a conspiracy? Is it a conspiracy that Obama’s father was a British/Kenyan citizen when BHO was born? I don’t see how a few bloggers with fringe ideas about the definition of “natural born citizen” make a constitutional crisis nor why there is a snowball’s chance in hell Obama will not be inaugurated on schedule accompanied by singing children, marching bands and the adulation of the people. It think to have a constitutional crisis, the participation of at least one branch of government is needed. There is some awfully nasty talk on some of the blogs, but I hope they realize that armed attacks against the government is treason, and that caries significant punishment. That would be a sore price to pay for letting oneself get caught up in somebody else’s delusions. I was looking for a general comment in Whos Who, didn’t see it so will use this. Maybe instead the blog title should be WHOS NEXT? No real surprise here, BHO has a long history of bad associations. Of course they weren’t bad people anytime BHO was with them, only when he was not with them. I wonder if he ever went fishing with Jim Jones or smoked a stogie with Charlie Manson? In all fairness, I know BHO probably hasn’t ever spent more than 10 minutes with either of those men, Blago and Richardson that is. It would be hard pressed to call them associates, unlike his old friends of his past were. If you actually look at the current law regarding who is a native born citizen, you will see that being born in Hawaii suffices, even if NEITHER parent were a US Citizen. Next, we STILL have seen NO ACTUAL PROOF of the claim that Obam was born overseas, even after MONTHS of promises that the “smoking gun” document was just a few monetary donations away. Regardless, even IF born overseas, Obama was still born to an american citizen mother and again, that would suffice. Your claims of “constitutional crises” are born of a complete misunderstanding of the law and how it works. This misunderstanding is being encouraged by a few greedy people who clearly know better. Those leading this movement seem to have a personal agenda to exploit people’s fears for their own monetary benefit. It is sad that a few gullible people have been conned by these greedy charlatans. It is disgusting that these con artists are scaring a fringe group of ignorant people into believing that “armed insurrection” may be their only hope. Ted, I would suggest that you learn a bit about the law, maybe by visitig a local law school and asking to speak to an actual constitutional law professor about this issue. Were there ANY legitimacy to these claims, ask yourself why it is that no REPUTABLE, COMPETENT lawyer will file a case? Why is that? Is EVERY competent lawyer in the United States on Obama’s payroll? Please. The people you are following are NOT respected in their own profession, they are considered an embarassment to the law. Orly has a law degree that she received online from a law school that is NOT even accredited by the American Bar Association. Berg was an embarassment well before this recent fiasco, having been sued for malpractice and sanctioned by a Judge for his atrocious, irresponsible practice of law. I would also suggest you spend some time away from the blogospere and out in the real world. Ted, you and others are being manipulated and used by people who care nothing about the law or the Constitution and everything about lining their own pockets and getting their 15 minutes of fame!!! The Who’s Who area is for people who promote the conspiracies, not for those named in them. The latter would be a very long list. The satire can get a bit strange here. I saw that earlier today and think I posted it in the “News” section here. I think the “Michelle” person here might have been that “David Crockett” off the Betrayal blog. But, he/she did not strike me as someone who would use a alias. There is also a Michelle on Berg’s blog. But, since I had invited David over to have a “discussion” with Dr. C. regarding NBC, it did occur to me that David could be Michelle. Wonder if the volume will go up or down between now and Jan. 20th? Assessing traffic trends is a problem. Statistics weren’t completely captured for about a week and fixed yesterday. I can’t tell how much of the increase is real. However, traffic seems to be up. You remember, I think it was Linda here, who thought Donofrio was an American hero? I just left a message over there, telling them that they deserve it. I’m getting visitors here from the hyperlink on their page. Thanks for the link. 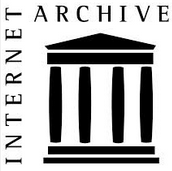 However, everything at my page (at my name’s link) is fully sourced and based on facts. And, unlike some others, I’m not making outrageous claims. My claim is that there’s no definitive proof of where BHO was born, and that FactCheck is lying about what the state of Hawaii said. In fact, the state of Hawaii refused to confirm FactCheck’s assumptions. If FactCheck were telling the truth about what the state of Hawaii said, one would think the state of Hawaii would be willing to confirm what FactCheck said. 2. The State of Hawaii officials have not handled Obama’s BC any differently than anyone elses. Those were the two specific items they wanted to clear up because of the false claims against them. Their statement regarding having seen/checked Obama’s BC was not required. And if Obama’s BC wasn’t exactly like it was suppose to be, they would not have said a “peep” about the Obama’s BC. The State of Hawaii may have refused to confirm FactCheck’s assumptions to you, but they DID confirm them (orally and in writing) to the Chicago Tribune, as evidenced here. It is my personal view that the opinion that Obama’s birth in Hawaii is an open question, that FactCheck.org is lying or that Obama could have a valid Hawaiian Birth Certificate but still not be born in Hawaii are at best fringe views. There is quite a bit of editorial and factual content on this web site in support of that statement. I wouldn’t call your web site “out there”, but I would include it under fringe. A good example of an error on your site is the citation of Hawaiian Law 338-17.8. To your credit, you correctly say that the law was passed in 1982 (when Obama was 21) years old. 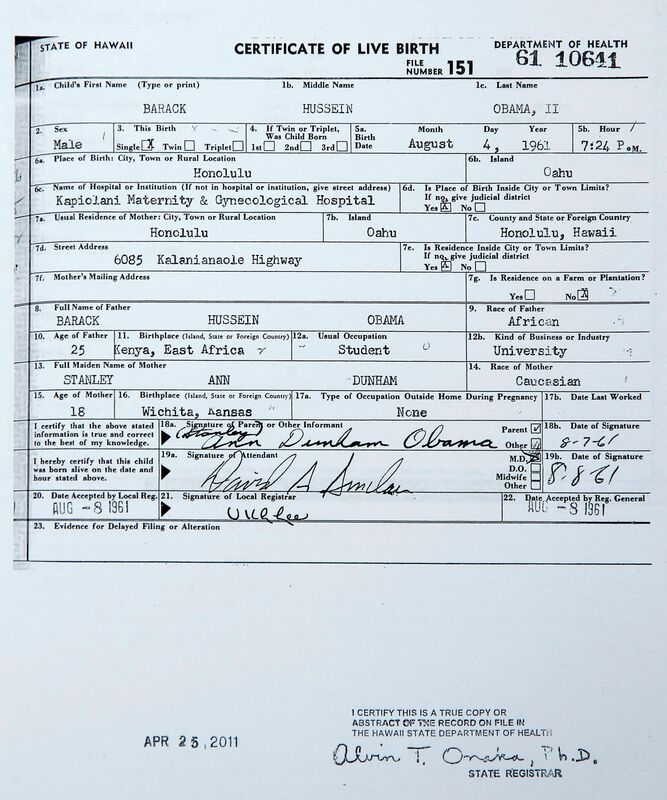 However, the COLB shows that Obama was registered 4 days after he was born in 1961, when the law was not in effect. 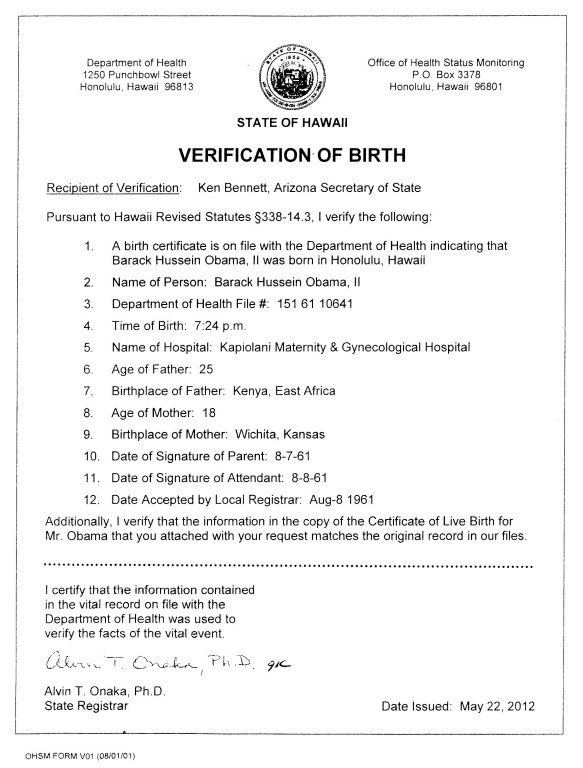 I go through all the scenarios that have been offered as to how Obama could have a Hawaiian birth certificate, but not be born there and show that all are logically or legally impossible in the article Barack Obama’s Birth Certificate Doesn’t Really Say He Was Born in Hawaii. If you object to any of the analysis and conclusions on that page, by all means add a comment there and we can discuss any new scenario not covered, or objection to what is there. What Hawaiian officials said and didn’t say is a problematic area. We all know the official statement posted on their web site. It is not always clear whether a newspaper article is interpreting the official statement or whether they have independent information. However, some newspaper articles, and FactCheck.org appear to have independent information beyond the official statement. The Washington Bureau of the Chicago Tribune is one such source. At best there’s no conclusive proof that FactCheck.org is lying or even wrong. The Health Department might talk to the Chicago Tribune, and hang up on you or me. 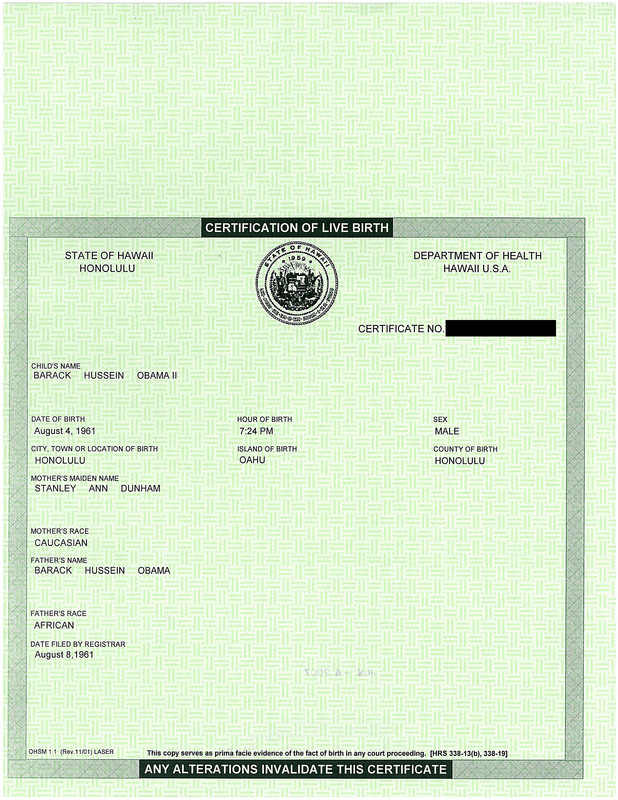 Believe it or not, there is an obscure Hawaiian law that would allow the State to confirm (not disclose, but confirm something already known) information on Obama’s birth certificate to FactCheck.org or a newspaper, but not to a private individual! Either Obama’s COLB is a fake or it’s authentic. 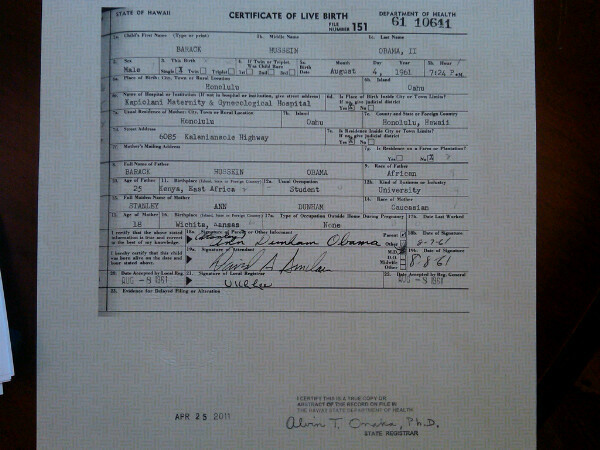 If it’s authentic then it means what it says, specifically that the Location of Birth for Barack Hussein Obama II is Honolulu. If it’s fake, then Hawaiian officials would have cried foul. And if some law prevented them from crying foul, they sure as heck wouldn’t have visited the vault and made a positive-sounding statement. It seems to me that you’re hiding behind the word “definitive” by which any totally implausible scenario is allowed. Once you take that approach, then no proof you could imagine meets that standard, and you can justify any fringe view. Once one side in an argument takes the position (and I’m not saying you have) that no evidence is definitive, then the argument is over. Certainly Barack Obama could waltz into any court in the country with his COLB and prevail in any suit challenging his birthplace. If “proof beyond a reasonable doubt” is enough to condemn a man to death, it should be enough to get him into the White House. I say you have raised no reasonable doubts. The Parowan Prophet, Leland Freeborn of Parowan Utah will be joining Overnight AM to discuss Leland’s vision of a Nuclear Global War which is suppose to begin no later than January 15,2009. Leland recently made international news by claiming that in a vision he had seen that Barack H. Obama would not become the 44th President of the United States of America but not due to any birth certificate or natural born Citizen issues which we have all witnessed in the past weeks, but rather because of a Nuclear strike on America by Soviet forces. Leland’s history is quite revealing, and tonight we will find out how he came to have such telling visions that he claims are from God, and why he believes he has been called by God to tell the world of the horrible upcoming events which he says we can all change if we want to. Tonight on Overnight AM we’re going to find out if the future is written in stone when Leland Freedom joins the Patriot Brigade Talk Radio Network on Overnight AM radio show with Lan Lamphere.